How many oxen do you own? How many dessiatins of land do you plough? What kind of plough do you have? For a nineteenth-century Russian peasant, the answers to these questions are far-reaching. Suppose you have three oxen, ten to sixteen dessiatins under crops, and only a drill plough, as opposed to an iron plough. All this would be typical for a poor peasant family in Southern Russia. The number needed for a team of draught animals is four, so you’re one short. In fact, with only a drill plough and working heavy soil, you really need six draught animals. This makes you a yoker: you ask a brother and a cousin (who are also too poor to own a team of oxen) whether you can yoke together. By pooling your oxen, you’ll have a team, and you can plough each family’s field in turn. But your brother and your cousin live at the north end of the obschina, while you’re in the south. You probably cultivate your fields in the long-tract system, which means your allotments will stretch in narrow strips for many miles on the different sides of the village, so the journey from the end of your allotment to your cousin’s could be a twenty-mile walk. No question of travelling there every day, then: you’ll have to stay with your cousin until you and your oxen have completely finished helping with his allotment. You may have to interrupt the ploughing to return home on an urgent household matter or to perform an obligatory public duty (of which there were many in the Russian mir, or peasant community), losing several days. Hope that you and your fellow yokers don’t fall out over the terms of your agreement while working: if your cousin changes his mind half-way, and decides to charge five roubles instead of four to let you use his oxen or his plough, would you call the deal off and risk ploughing too late or not at all? Even in the best case scenario, with an allotment of less than sixteen dessiatins, you probably won’t be able to grow enough to feed your family anyway. All this makes your work slow, inefficient, and uncertain: this year, ploughing might work out, but it might not. In other words, your resources are not sufficient to cover your own needs. You may well have to survive by selling your labour power and hiring your land to a more wealthy peasant family: they have a full team of oxen and horses and more land than they can work themselves. Thanks to economies of scale, the wealthier peasants are able to produce not only more, but more efficiently, while the chronically unstable conditions of the poorer peasants force more and more of them onto the labour market. This kind of thought experiment is typical of the narratives which Lenin’s very first work invites us to imagine: ‘New Economic Developments in Peasant Life’ is Lenin’s earliest surviving attempt at what he would later call ‘the very gist, the living soul of Marxism – a concrete analysis of a concrete situation’ (1960-1976, 31: 166) and it was re-issued in paperback by Verso in 2017, in the first volume of his 45-volume Collected Works. The study is a detailed response to a statistical work, Peasant Farming in South Russia, by a certain Postnikov. 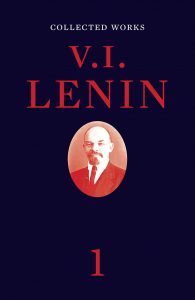 Lenin’s work – written when he was in his early twenties, and just after having qualified as a barrister, despite his expulsion from university – is mostly composed of statistical tables, arid number juggling, and austere descriptive snippets, which occasionally allow us to glimpse the kind of narrative sketched above. But Lenin’s ostensibly hard-nosed and technical essay is, in fact, a breakthrough for Russian Marxism, transcending its sources to produce one of the first trenchant and thorough class analyses of nascent Russian capitalism. The facts were there in the form of Zemstvo statistical data – detailed information compiled by the moribund tsarist bureaucracy at the level of the Zemstvo (a local government body) – and Lenin was enthused by this ‘magnificent material’ (511) and the skill of Russian statisticians. (He would return to Zemstvo statistics years later – in 1914 of all times (1960-1976, 20: 82-88).) But these facts, in the hands of the statisticians, had not been subjected to a Marxist analysis. 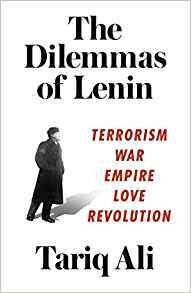 Postnikov’s book – which Lenin greatly admired – therefore pulled back at the brink of its own discovery. Lenin’s recent study of Marx enabled him to introduce two new concepts to the contemporary understanding of the Russian peasantry. First, that differences between peasants in terms of juridical categories, of farming techniques, and of property relations are not all equally important. On the contrary, property relations and relations of production are the primary determining factors: who owns what, and who is working for whom. (The following year, in ‘What the “Friends of the People” Are’, Lenin would explain how Marx’s ‘singling out production relations from all social relations as being basic, primary, determining’ was the distinctive element of Marxist theory (138).) Lenin transforms technological questions into social ones. His realisation is that to ask ‘What kind of plough do you have?’ is also to ask whether you are sufficiently productive to meet your own needs and therefore whether or not you have to sell your labour (that is, yourself (55)) on the market, in short, whether you are exploiter or exploited. Lenin’s second dialectical leap is to transform the quantitative into the qualitative. How many oxen? and How many dessiatins? are not only quantitative matters, but the determinants of the precise class – that is, the role in production – of the peasant. The difference between three and six oxen is not (only) quantitative, but a qualitative transformation from exploitation on the market to the generation of surplus. Ostensibly gradualist questions of more or less reveal themselves, in this dialectic, to be determinant of one’s role in antagonistic class relations. On the one hand, these few sentences decisively outflanked the patronising and idealised notion of the peasantry – grasped ‘en masse’ – put forward by the Narodniki, the ‘friends of the people’, while, on the other hand, irreversibly politicising the statistical findings of the zemstvo bureaucrats. For Western capitalist countries today – in effect, pre-Soviet societies – lurching from sentimentalism to surveillance, this kind of manœuvre would be as huge a leap forward. In Gyorg Lukács’s book on Lenin, written in the aftermath of Lenin’s death, the Hungarian militant emphasises that the value of Marxist economics resides in its ability to get behind the fetishist categories of technical discourse, ‘in such a way that […] the evolution of those classes whose social existence they express becomes visible’ (1970, 43). 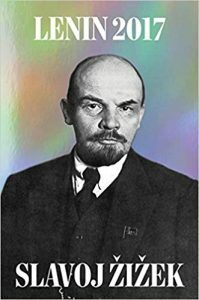 The lucubrations of the first volume of Lenin’s Collected Works are trivial relative to later volumes, except in their arresting revelation, with unprecedented precision, of the ‘social existence’ of the Russian masses. This first volume of the Collected Works joins other books also published by Verso to mark the centenary of 1917, most notably Slavoj Žižek’s Lenin 2017: Remembering, Repeating, and Working Through (an anthology of texts by Lenin, with a 53-page introduction by Žižek) and Tariq Ali’s The Dilemmas of Lenin: Terrorism, War, Empire, Love, Revolution. The relation of these Verso publications to Leninism contrasts somewhat with other aspects of the 1917 commemorations, which, broadly speaking, could be arranged into three discursive categories. First, the commemorations which marked the centenary without any substantial engagement with Leninism. 2017 was a cultural, not a theoretical or political, centenary, much like that of, say, the Titanic sinking. Thus, for example, the Tate Modern’s sumptuous exhibition Red Star Over Russia: A Revolution in Visual Culture 1905–55 (8 November 2017-18 February 2018) treated Bolshevism essentially as an unusually ambitious advertising campaign, with violent side effects. Second, polemics which engaged with Leninism in order to refute it. These were by no means the prerogative of Conservatives: on the left, writers seemed to be queuing up to denounce Leninism. The most thoughtful and thorough of these was perhaps Pierre Dardot and Christian Laval’s 2017 Ombre d’octobre (Montréal: Lux), which denounces October as the coup which betrayed the real revolution of February. The few books which, like Žižek’s and Ali’s, were interested in examining Leninism for what it can teach us today form a third category, battling against the current. Their beginning is Lenin’s end: the years from 1917 onwards, a roller-coaster of crises, which revealed the revolution as the easy part, and where Lenin’s thought was tested and hardened in the crucible of pitiless struggle. This array of responses is not a centenary-specific moment of reaction: rather, 2017 is a keyhole through which we can glimpse the whole theatre of contemporary attitudes towards capitalism itself. From the post-historical liberals, for whom Lenin and Leninism belong to ‘cultural history’, to capitalist reactionaries who invoke Lenin only to crush him (not just bourgeois historians, but also Putin and his followers), and from anti-Bolshevik radicals to left wing intellectuals who mobilise Lenin in the context of a sobering assessment of today’s hopelessly scattered Left: at stake in centenary responses to Lenin is, in fact, the more enduring question of how we analyse post-Soviet capitalism and how we propose to legitimate or destroy it. Ali brilliantly sketches the brutality of Tsarist absolutism (Lenin’s brother, Sasha, was hanged for his anti-Tsarist conspiracy aged nineteen; Lenin was seventeen), the failure of 1905, and the imperialist madness of 1914, but the real ‘dilemmas’ begin with section three of his book, 150 pages in. Here, we enter the terrain of critique and autocritique, what Ali calls the ‘balance sheet’ of failure (152, 312). How can a revolution overcome a coercive state without becoming a coercive state itself? Will a political revolution also be a mental and psychological one? Ali rightly devotes a section to love and sexuality. How can the level of political consciousness of the masses be raised? Who will be the agent to raise it? These are the real dilemmas because they are the ones to which we still have no definitive answers. Ali includes as an Appendix Lenin’s late ‘On Climbing a High Mountain’, in which a mountaineer cannot continue to the summit, but is forced to turn back, while those in the valley mock him for his frustrated ambition. Given what Žižek calls ‘the misery of today’s left’ (xxix), it is then not despite of, but because of, the rout of state socialism and social democracy that Leninism in its routs and defeats, can be of use to us, now. (Žižek’s grating ‘This is Lenin at his Beckettian best, echoing the line from Worstward Ho: “Try again. Fail again. Fail better.”’ (xxviii) is an unforgivable low in an otherwise forceful argument.) This is where Žižek’s Freudian vocabulary of ‘remembering, repeating, and working through’ comes in. For Lenin to be of use to us now means the repetition of Lenin, but repetition in a special sense: not passive return, but rather the exploitation of the possibilities revealed to us to Lenin’s very failures. In the midst of a centenary characterised by bourgeois philistinism, leftist bad conscience, and radical backsliding, these books offer a much needed palate-cleanser: neither triumphalism nor self-flagellation, but rather a sobre examination of the possibilities of hopelessness. If Verso resists capitalism, however, it cannot stand outside it. The Verso edition of Lenin’s Collected Works is the print out of an online PDF of the 1960 Moscow English-language (Progress Publishers) edition, verbatim. The texts in the Žižek volume are also from the Moscow Collected Works and were copy typed by diligent subalterns. All this raises an eyebrow for a number of reasons. As with all Progress editions, the standard of the translating and editing of the English Collected Works is high. But there are typos and inconsistencies occasionally, which could easily have been rectified. More than this, there are editorial decisions which it might be timely to reconsider. How faithfully should we translate Lenin? The Progress translations are polished, but Robert Service, in his translation of State and Revolution for Penguin (2009), makes a persuasive argument that we should be more faithful to the asperities of Lenin’s style, rendering a syntax which may be more jolting, but also truer to Lenin’s punchiness. Finally, the staunchly Stalinist line of the end notes (explaining delicate matters such as the Kronstadt rebellion) does invite nuance in light of recent scholarship and away from Cold War agendas. So to simply reproduce material decades old is a missed opportunity for Marxist thought. Verso – in printing material that has been scanned and put freely online by a certain David J. Romagnolo – have acted as printers, not as publishers. Materially, the result is unlovely… and costs thirty pounds for a paperback – unlikely to radicalize the masses at that price. Verso, aware they’re on thin ice, have included the following disclaimer: ‘Every effort has been made to contact Mr Romagnolo to obtain his permission, but without success, but we are keen to reimburse him’. Sic. Is this simply the inevitable product of the contradiction inherent in the phrase ‘left wing publishing’, where socialist thought has to be the commodity that enables Verso to exist on the capitalist market? Verso’s 2017 Lenin publications are a reminder that Bolshevism is (and has to be) Verso’s way of making money. Simultaneously, by revealing the social existence behind fetishist categories and arguing for the revolutionary possibilities of even complete hopelessness, they are salient in a cultural landscape which has either forgotten or betrayed what Žižek calls ‘the first case in the entire history of humanity of a successful revolt of the exploited poor’ (liv). Mr Six shows the clear vision and deep understaning that is so lacking in our Communist Party He should be the official spokesman for the party. I look forward to reading more of his inciteful and intelligent writings. I apprecaited Mr. Six’s commentary: ” the commemorations which marked the centenary without any substantial engagement with Leninism. 2017 was a cultural, not a theoretical or political, centenary.” Readers may be interested in an exception to that type of commemoration in the volume of wrtings by Raya Dunayevskaya– Russia: From Proletarian Revolution to State-Capitalist Capitalist Counter-Revolution. The volume has a selection of Dunayevskaya’s writings on Lenin, including her translation of his Notebooks on Hegel’s Science of Logic. The central focus on her Lenin writings (Leninism?) is on the break in Lenin’s thought concerning revolutionary dialectics in 1914-15, which she viewed as his “philosophic preparation for revolution.” This volume is available from Haymarket Books. as well as from Brill.